Various shires in Perth require different soakwells and drainage systems , therefore an in depth knowledge of soil types, and local shire laws are at your disposal when you contract Perth Soakwells for your concrete soakwell needs. We install concrete soakwells in areas ranging from Yanchep, Alkimos, Butler, Banksia Grove, Perth, Harrisdale, Piara Waters, Wandi, Wellard, Baldivis to Mandurah. 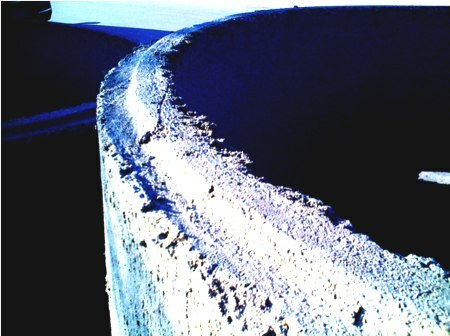 Concrete soakwells in Perth have been used as a mainstay in the construction industry for stormwater drainage for decades. 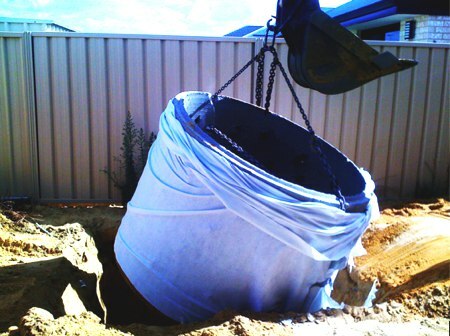 Concrete soakwells are strong, reliable, difficult to damage, and vary in sizes and volumes throughout Perth. 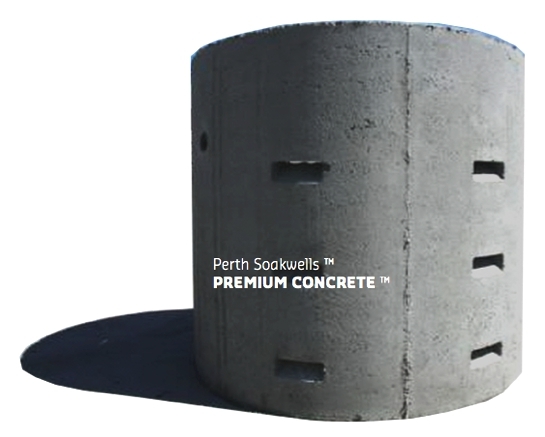 Concrete soakwells are installed by Perth soakwells for various applictions, including residential concrete soakwells, commercial concrete soakwells and industrial concrete soakwells in Perth, WA. Not all concrete soakwells are created equal. Perth Soakwells [TM] uses only premium quality soakwells that have the highest stamps of approval. Up to 40MPA after 7 days and rebar reinforced. We take our soakwells seriously. So should you. Premium soakwell installations at builders rates, no corners cut. Each concrete soakwell that is installed for your project has been reinforced with rebar which prevents the soakwell from breaking apart. Our Premium concrete soakwells have been approved by the Western Australian Water Corp, and are compliant with all applicable civil, industrial and domestic drainage guidelines.